MP (1949-1953), MP (1953-1957), MP (1957-1958), MP (1958-1962), MP (1962-1963), MP (1963-1965), MP (1966-1968), MP (1968-1972), MP (1973-1974), MP (1974-1979), MP (1980-1984). 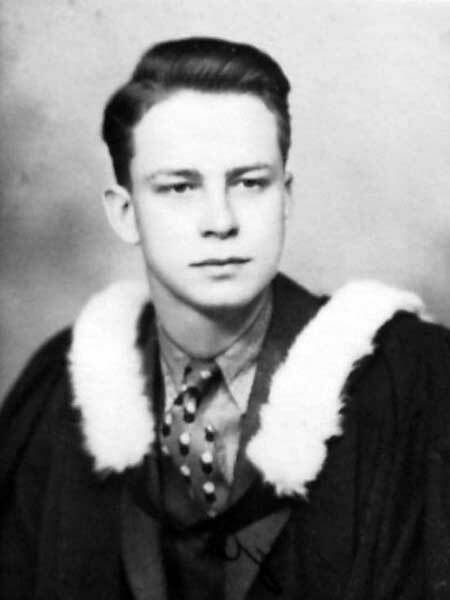 Born at Brandon on 3 April 1916, son of George Dinsdale and Minnie Lang, he attended Brandon College (BA), University of Toronto (MA), and University of Chicago. He served as a Salvation Army Social Service Worker from 1939 to 1941 then served with the 410 Fighter Squadron with the Royal Canadian Air Force from 1941 to 1945. On 17 September 1947, he married Lenore Gunheld Gusdal (?-? ), daughter of Ludwig Benjamin Gusdal. He was Director of the Social Science Department and Public Relations at Brandon College from 1946 to 1951. He was elected to the House of Commons for Brandon at a by-election on 25 June 1951, and was re-elected at general elections in 1953, 1957, 1958, 1962, 1963, 1965, 1968, 1972, 1974, 1979, and 1980. He held the positions of Parliamentary Assistant to the Minister of Veterans Affairs (August 1957 to February 1958), Parliamentary Secretary to the Minister of Veterans Affairs (November 1959 to November 1960), Member of the Privy Council (October 1960), Minister of Northern Affairs and National Resources (October 1960 to April 1963), and Acting Minister of Mines and Technical Surveys (October to December 1963). In 1977, he received the Queen Elizabeth II Silver Jubilee Medal and was given an honorary degree by Brandon University. He died at Ottawa, Ontario on 20 November 1982 and was buried in the Brandon Cemetery. We thank Olivier Delcourt and David Delcourt for providing additional information used here.